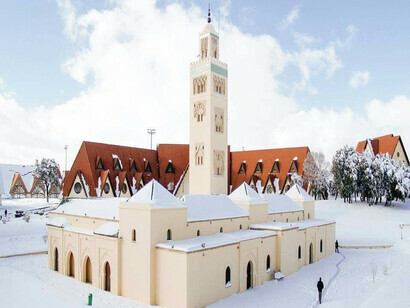 Ifrane sits on the highest mountain of Mediterranean Atlas, at a height of 1,650 meters above sea level, in the midst of cedars, pine and green oak trees that extend over a forest of 116,000 hectares. Ifrane is surrounded by lakes, natural springs, various gothic spaces and magnificent waterfalls. 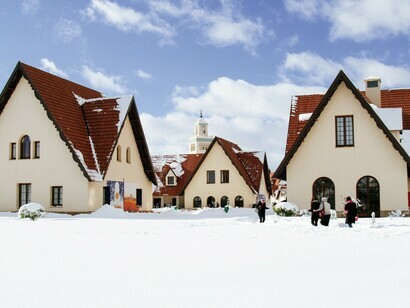 The mountain town of Ifrane is in the midst of magnificent nature spaces. 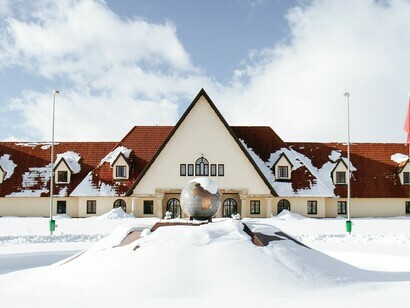 Ifrane is witnessing an overcrowding throughout the year, especially in the winter and autumn, to practice ice skating at the famous station "Michliffen" and the famous slopes of Mount Habri, which includes the most beautiful tourist resorts in Morocco. The National Park of Ifrane is located in the Middle Atlas 60 km south of Fez and extends on an area of 51,800 hectares between 1300 and 2440 m of altitude. 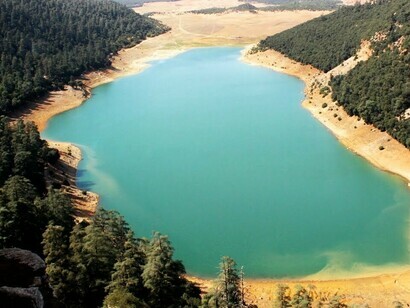 It is the largest water reserve of Morocco with beautiful forests, particularly green oak and cedar tree forests. A few kilometers from the city, specifically in the village of Akmas, there is a long tree named Kuro, the oldest cedar tree in the African continent, more than 800 years old. It was named after the French general Henri Joseph Kourou, He was a representative of the French occupation authorities in the region. 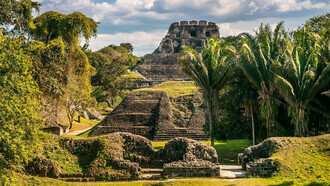 This area has become one of the most famous tourist attractions due to its history and its animal species, especially the endangered Atlas monkeys. Aguelmam Azgza at an altitude of 2100 m, landlocked and occupying a depression with a depth of 26 m area, it is surrounded by limestone hills, covered with a forest-dominated with cedar and oak, its location in the middle of cedar forests Middle Atlas gives it a wonderful beauty, area of about 62 ha. Enjoying a natural beauty, located 25 km from the center of Itzer, it can be visited by taking the road from Meknes to Errachidia. For vacationers and sports enthusiasts who love river fishing, Lake Aguelmame Sidi Ali is certainly a privileged place to practice their hobby. 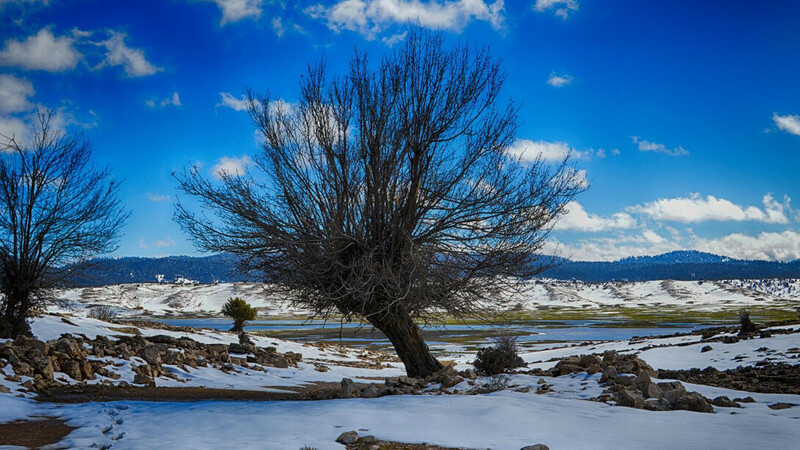 This beautiful lake lunar appearance is in the heart of the Middle Atlas, within 2 hours of the imperial city of Fez. The lake is nice with the pristine natural landscape surrounding the lactic composed of centuries-old giant cedar and juniper forests and vast panoramic shepherds where there is a rich avifauna, composed of native and migratory birds, as well as other host of animal species. 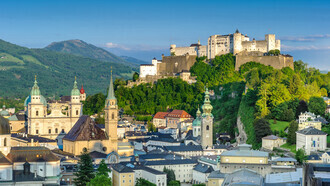 Bio-climate of the region is sub-humid to humid, rainfall estimated 1150 per year. It is rich in fish such as pike (fish appreciated for the quality of its flesh, but tends to disappear for reasons of habitat which is undergoing degradation by man: overfishing, pollution besides the lack of precipitation) tench, carp, pike and roach. These fish species have been introduced by the French waters and forests in the early twentieth century. 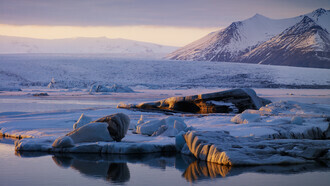 This lake is National Heritage rank after the decree of 29 July 1949 on the classification-BO No. 1919 of 5 August 1949 Website Aguelmam Azgza, Ajdir the shelf and Tiguelmamines. Afnourir is a lake within 26 km from Azrou. The lake is one of the most beautiful lakes in Morocco with an area of about 300 hectares also inhabited by several migratory birds and fish. 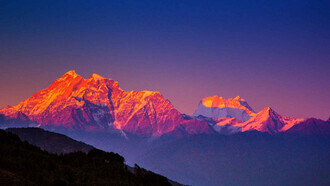 It is a moist area designated under the Ramsar Convention for the Protection of Birds. 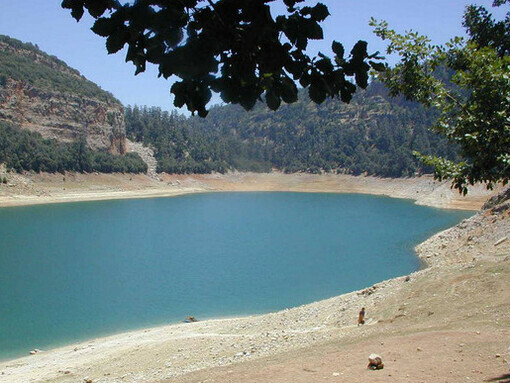 Lake Afenourir is High altitude natural lake (1798 m) from the Middle Atlas, located 26 km south of Azrou. It is practically the most important medium-atlasic site for wintering water-birds. The two most important species of the lake are the ruddy casarca and the crested coot. The lake of Afennourrir is a lake of altitude that is administratively of the province of Ifrane, rural commune of Ain Leuh, in Morocco, village located just on the border of the province of Khénifra, not far from the famous sources of 'Oum Errabiaa (or Oum Er-Rbia). 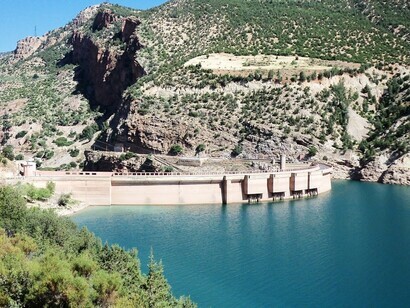 Its geographical location in the midst of the cedar forest gives it the status of Ramsar on June 20, 19901, listed among the wetlands of the Middle Atlas, due to ecological and hydrological functions, for the conservation of global biological diversity and sustainability Of human life. Wiwane is a beautiful and peaceful lake in the middle atlas near M’rirt. 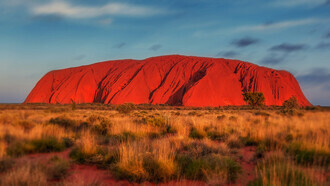 More exactly, it is 37 kms from it. Some visitors choose to access it from Azrou or from khenifra. 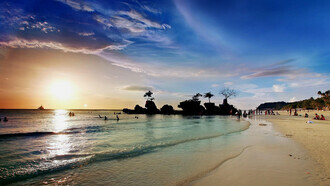 Incredibly rich, this area concentrates an amazing variety of birds and fishes. 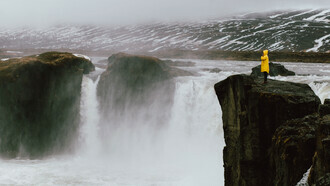 The peaceful village dominated by a beautiful waterfall and the lake bordered by a beautiful forest of oak and cedar. The Wiwane Lake in khenifra region is witnessing an unusually high concentration of fishing enthusiasts who spend long hours of their day near the lake, from the early hours of the morning to the pre-sunset periods. 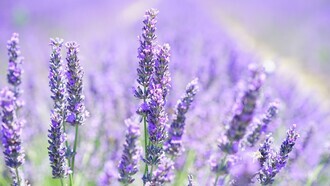 Most of them prefer to practice this hobby in a leisurely way; the nature of the lake and its beauty in the practice of others as a trade from them to offer his hunting for sale along the roads of the lake. 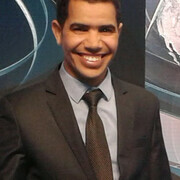 Abderrahmane Naji is a journalist reporter, news producer, coordinator with international organization at the Moroccan television. He was born in 02/05/1983 in Mhamid Elghizlane, Morocco.